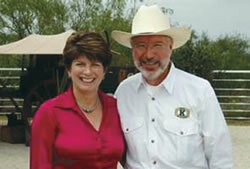 Big K Ranch, Ltd. is located in Kent County Texas or "West Texas," about 70 miles east of Lubbock, TX. The rolling plains of Texas in which Big K Ranch is located joins a diverse landscape with moderate rainfall and outstanding range including a variety of wildlife habitat and wildlife populations. 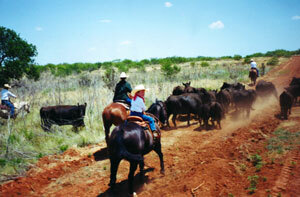 Big K Ranch is located in relatively close proximity to renowned ranches, including the Pitchfork Ranch and 6666 Ranch. Our operation is a family owned business with outstanding support from the community. Our business is focused on high-quality Angus genetics. Our family is outdoor oriented and both personally and professionally committed to environmental conservation and natural resource management. In that light, Big K Ranch has cooperated with the Natural Resource Conservation Service (NRCS) of the United States Department of Agriculture (USDA) through its EQUIP Program to develop and improve wildlife habitat in cooperation with our cattle operation. 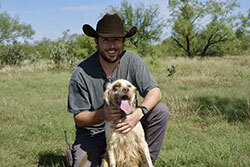 Our ranch is host to a diverse array of wildlife.